DAVID LE/Staff photo. 3/14/15. 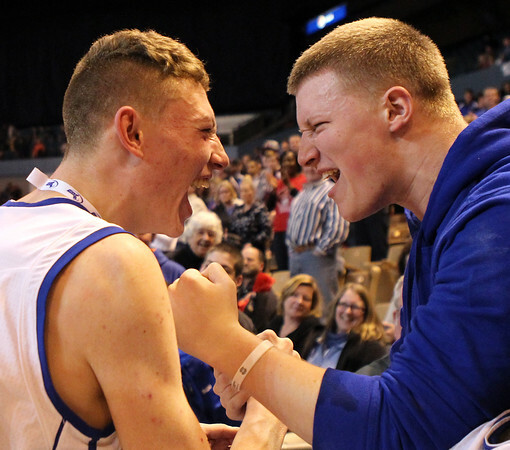 Danvers senior captain Peter Merry, left, celebrates the Falcons 52-49 win over Marlboro with fellow senior Nick Andreas.